FrontlineSMS founder Ken Banks wrote an interesting blog recently asking why so many of us technology for development (ICT4D) types are content to work remotely. 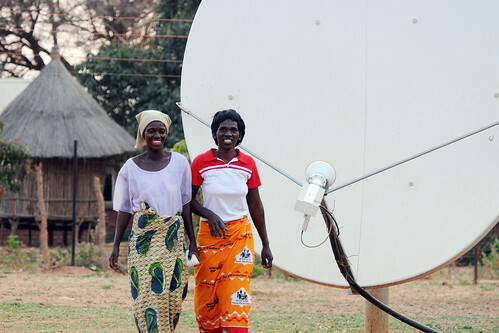 Should ICT4D Be More Agile? Most IT projects would be an unmitigated success if only it wasn’t for humans. Humans have an annoying habit of resisting change and refusing to conform to the often rigid requirements of a database ontology or software application. Can Raspberry Pi Transform the Sorry State of IT Education? Is the $25 Raspberry Pi – a basic computer on a single printed circuit board – capable of transforming the sorry state of IT education in our schools? Failed by academia and constrained by convention, geeks are self-organising to equip themselves with the expertise and experience needed to solve social problems and enhance their personal development. Recent initiatives have dramatically increased the range of previously “closed” data being made “open” by the government, including data sets on travel, weather and healthcare. Sorry to rain on your parade, but computers can’t transform education any more than social media can depose dictators. Last week the not-for-profit agency Computer Aid International celebrated providing its 200,000th computer to education and health organisations working in 112 countries worldwide (including the UK). This week I had to prepare a tutorial on ‘Open & Subversive Technologies’ for students of ICT4D at Royal Holloway, University of London. It got me thinking about the importance of enabling users to genuinely ‘appropriate’ ICT for Development, and the extent to which free & open-source technology might help make user appropriation of ICT for Development possible.